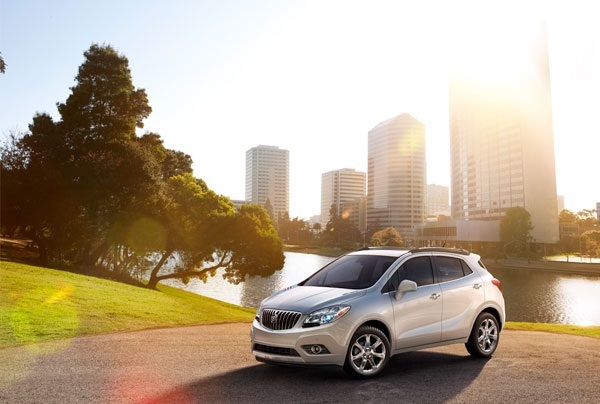 The 2015 Buick Encore takes a bow after its award-winning performance. The flow of awards should lessen a little lest the attention goes straight to the heads of everyone over at Buick! Really, there are no worries there. Buick is a humble company, in addition to being well-known for its consistent ability to churn out high-quality—and award-winning—automobiles. Take, for instance, the 2015 Buick Encore. The Insurance Institute for Highway Safety (IIHS) awarded the encore with its prestigious Top Safety Pick. Not to mention, the luxury compact SUV from Buick also received a five-star rating from the National Highway Traffic Safety Administration (NHTSA). In other news, the Buick Encore along with the Buick Verano and Buick Enclave caught the eye of judges at Kelley Blue Book. The three models from Buick won the Cost-to-Own awards in their respective categories. The Cost-To-Own award essentially means that these models will “save owners substantially more in the long run over its competitors,” according to GM Authority. So, maybe getting a new car at our dealership is starting to look much more affordable. If that’s the case, you’d be wise to view our inventory of new Buick and GMC vehicles. Find the one that’s right for you, then give us a call! » The All-New 2015 Buick Verano: Are you Ready?